I spent twelve successive childhood Summers in Javea (XÃ bia), on Spainâ€™s Costa Blanca, a resort town separated from nearby Denia by the looming presence of MontgÃ³, a 2,470-foot mountain which dominates the landscape of both towns and whose “totemic presence” is the subject of an article in the current Balearia+ Magazine. 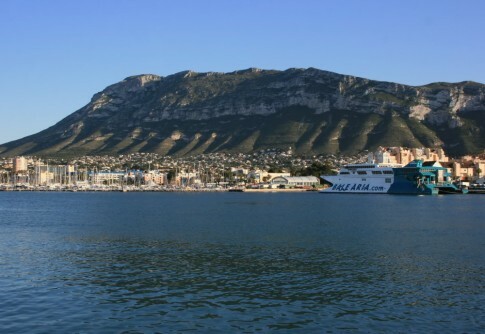 We did have friends whose villa was in Denia but, having become something of a Javean, I viewed the town over on MontgÃ³â€™s shady side with a degree of doubt. For Denia didnâ€™t have Javeaâ€™s Arenal beach, or its massive selection of restaurants, or its Parador hotel. 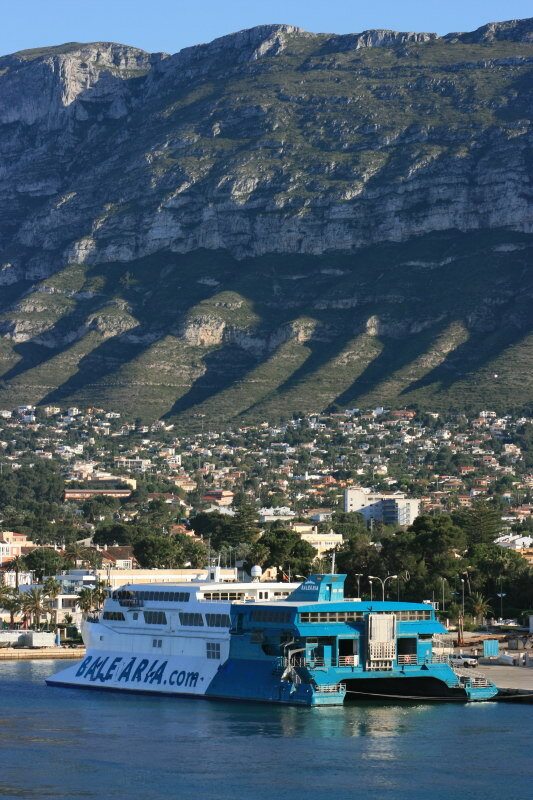 What it did have however were transport links: the railway line south to Benidorm via Gata and Altea upon which the â€˜LimÃ³n Expressâ€™ used to trundle and a port with ferry services to the Balearic islands. 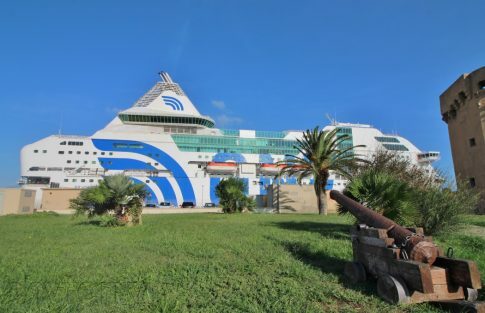 Back in the â€˜80s, a company called FLEBASA Lines, a subsidiary of ISNASA, provided a service from Denia to San Antonio on Ibiza, using the sister ships Baleares and Isla de Mallorca. 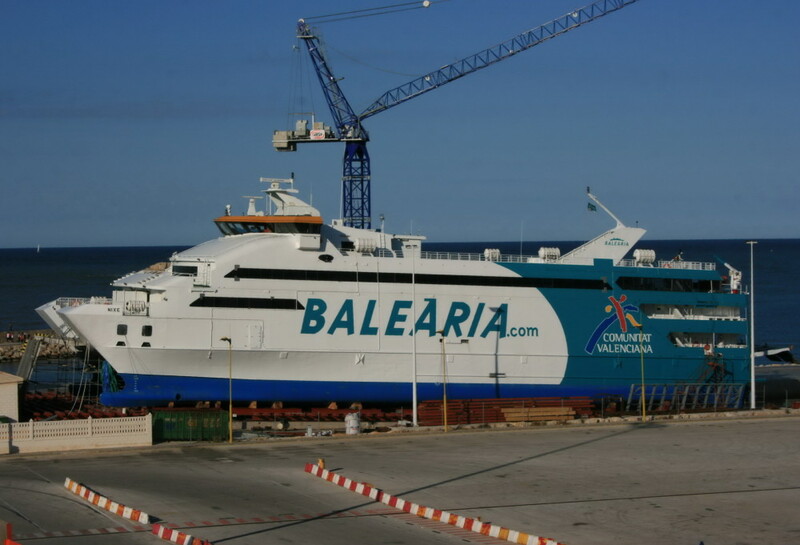 FLEBASA effectively broke Trasmediterraneaâ€™s Balearics monopoly but ultimately ran into difficulties in the 1990s, specifically in relation to payment for their new flagship the Manuel AzaÃ±a; however some crew members from the company set up a new operator and thus FLEBASA begat Balearia, the company which we know well today as one of Spainâ€™s foremost ferry operators. Balearia remain based in Denia, and on 1 May 2009 the port was a hive of activity with four Balearia ships in lay-up or refit (the Bahia de Malaga, Patricia Olivia, Jaume III (ex-Diamant) and Nixe) together with the Isla de Botofoc (ex-St Anselm, Stena Cambria) and Federico GarcÃ­a Lorca maintaining the service to Ibiza and Palma de Mallorca. 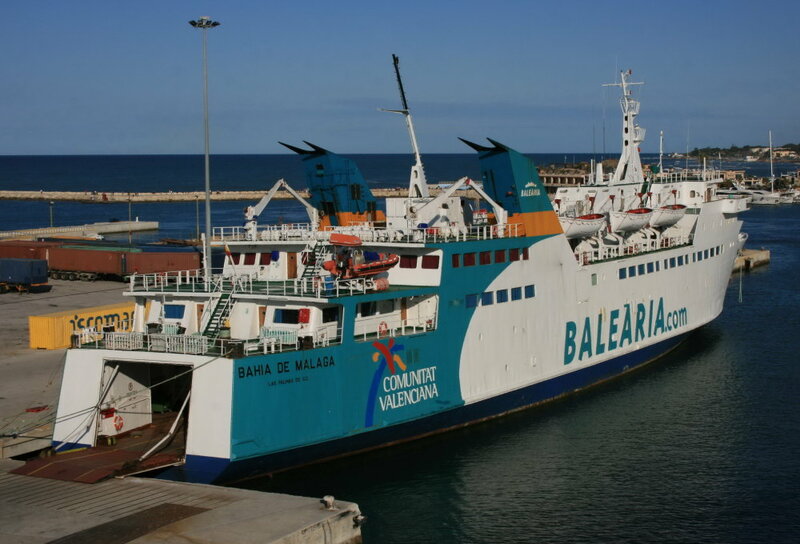 Also present was the Balearia tug the Sea Nostromo Cuarto. 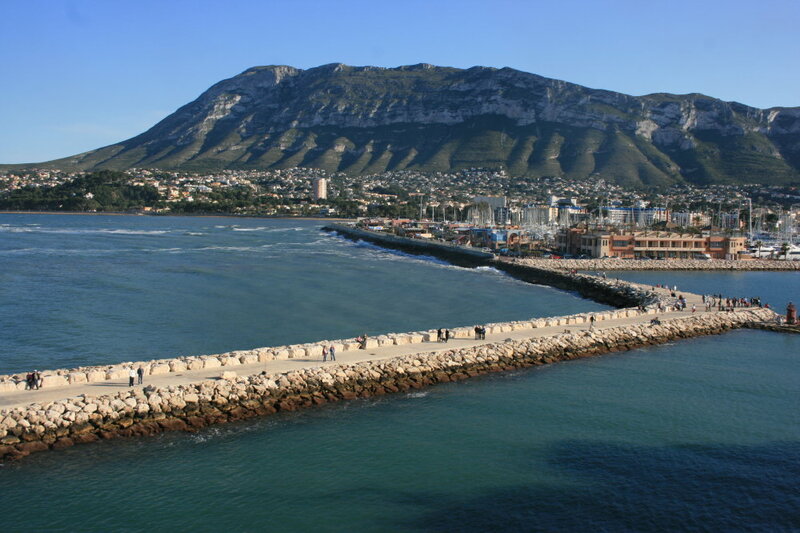 Denia's Southern breakwater with MontgÃ³ looming in the background. The Nixe, back from charter to Armas in the Canaries, on the slipway at the new Denia shipyard. 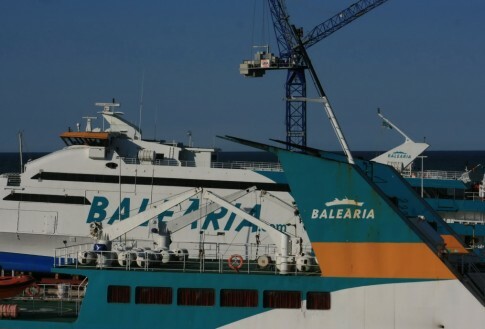 Balearia have expanded in part by acquisition, with a takeover of UMAFISA being completed in 2003 and, more recently, the Gibralter Straits operation of Buquebus. 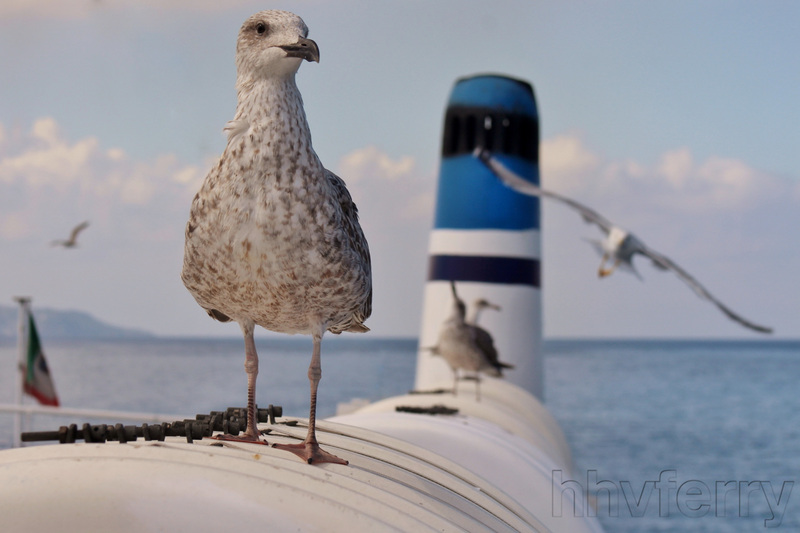 The Patricia Olivia was acquired in the latter transaction and was moved for the Summer of 2008 to Balearic operations. 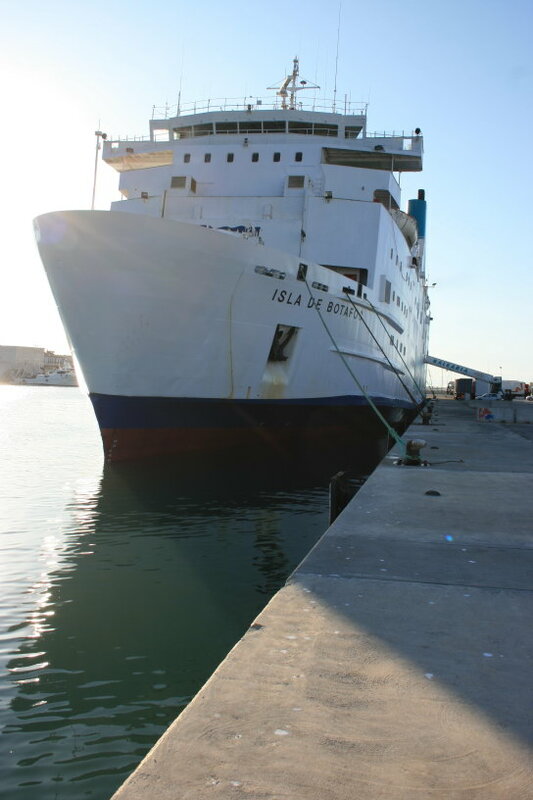 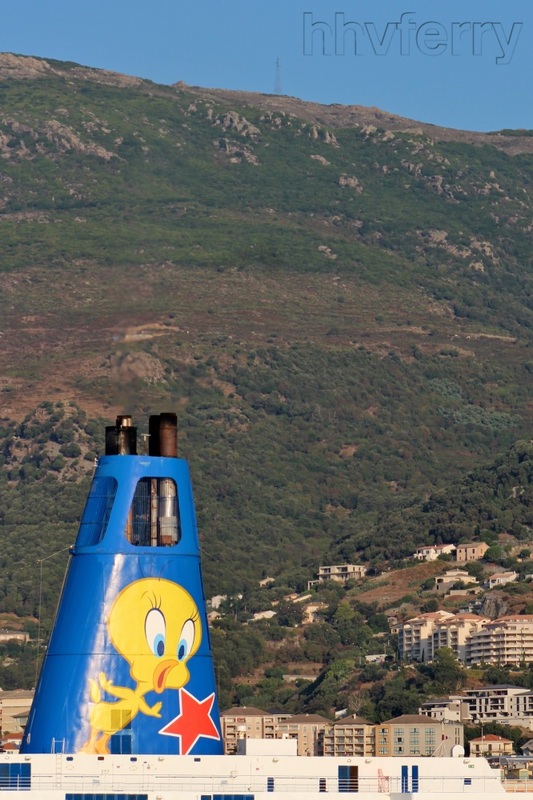 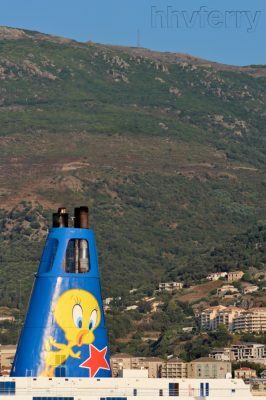 In recent months, during her Winter lay-up, she has been used for a variety of local community events including the celebrations for the 75th anniversary of Radio Denia. 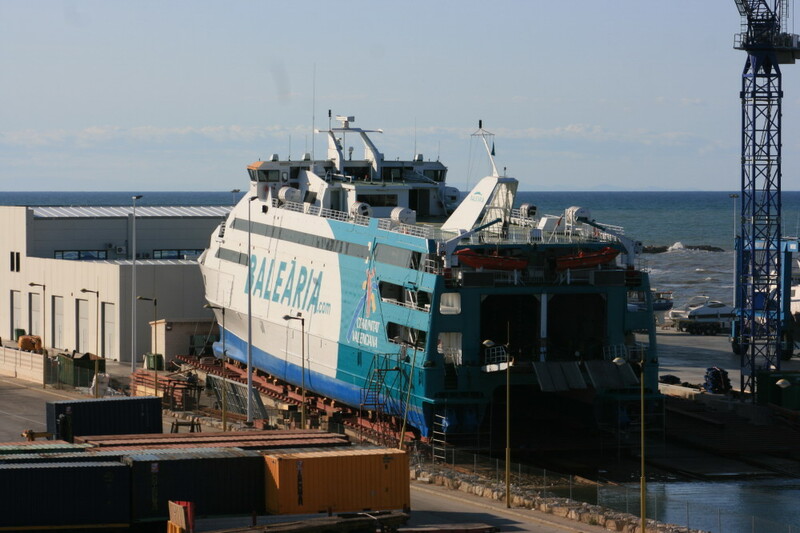 The laid-up Bahia de Malaga. 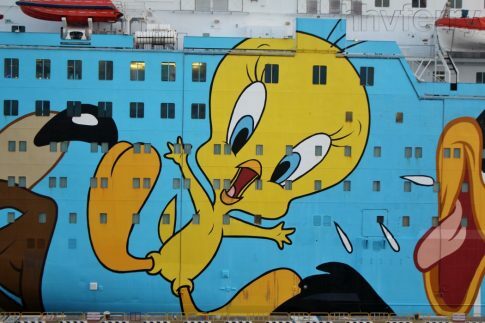 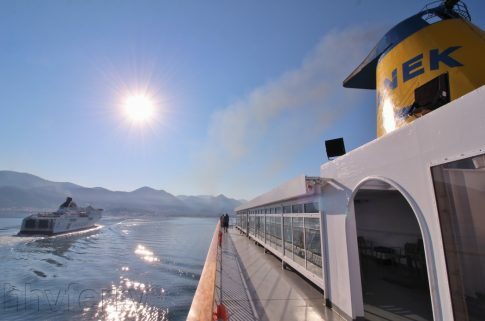 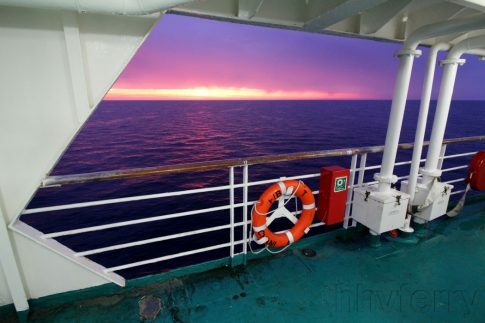 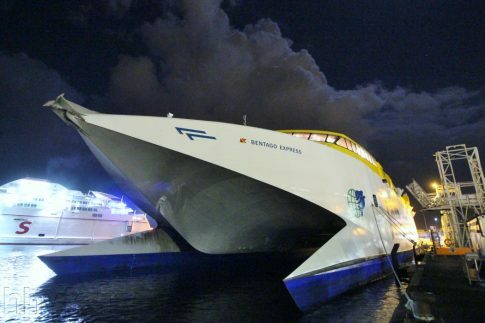 Ever since her failed sale to TransmaÃ§or in 2006 there has been a question mark over this ship's future. 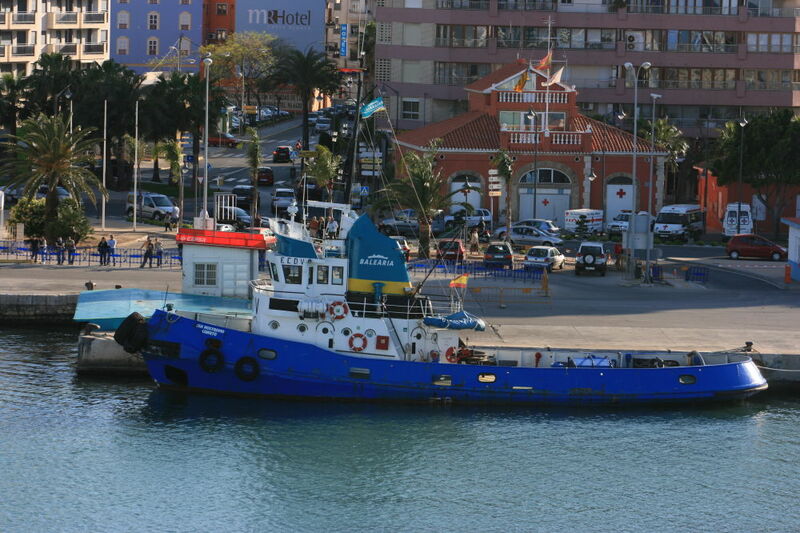 The tug Sea Nostromo Cuarto, dating from 1961. 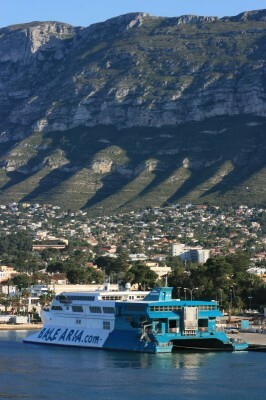 Another view of the Bahia de Malaga. The Nixe. 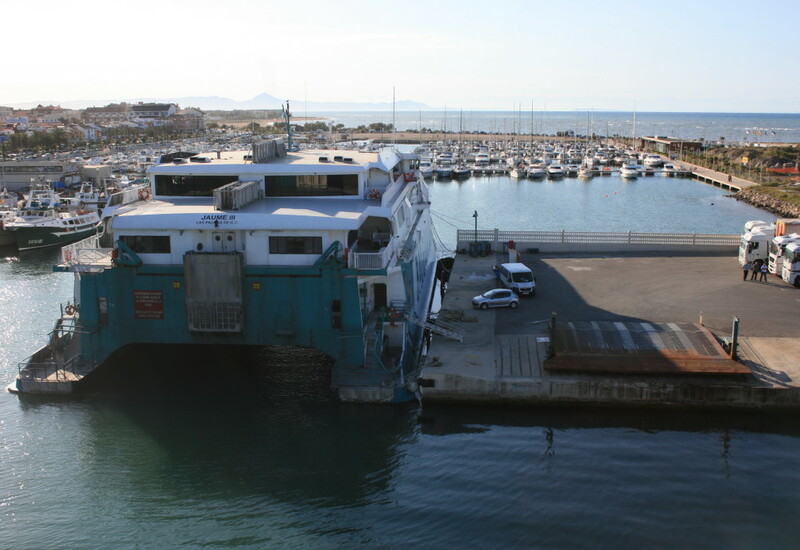 The new shipyard facility was opened in 2008 and is primarily intended for use by yachts calling at the nearby marina. The Jaume III, with the marina beyond. The Isla de Botofoc (ex-St Anselm, Stena Cambria) on her berth prior to an evening departure for Ibiza and Palma. 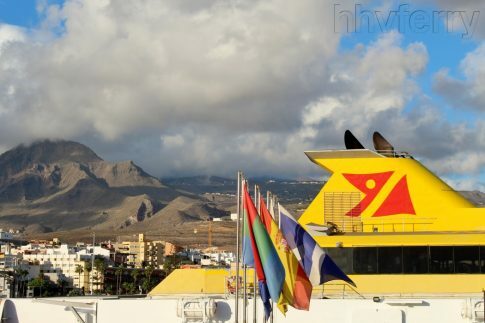 MontgÃ³ and the Patricia Olivia. Sunset in Denia: the Jaume III from the Isla de Botofoc. Baleariaâ€™s newbuilding program continues apace and following the delivery last year of the trendy Martin I Soler, three further vessels are on order from the Barreras shipyard in Vigo. The first is the recently-launched SF Alhucemas (previously intended to be Ciudad de Alhucemas), whose name suggests it will end up with the Balearia-Nautas Al Maghreb North African service. 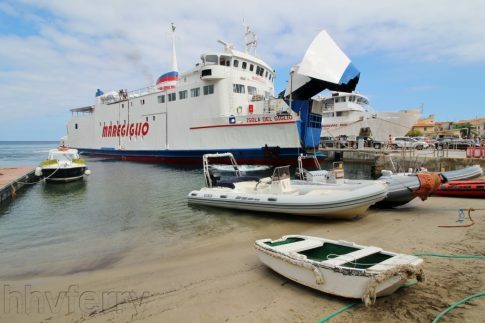 However local rumours indicate it will instead be the Isla de Botofocâ€™s replacement. 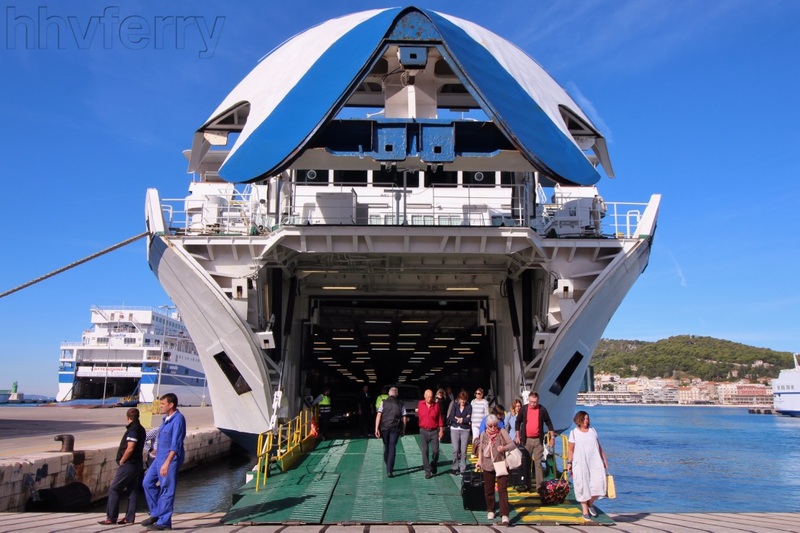 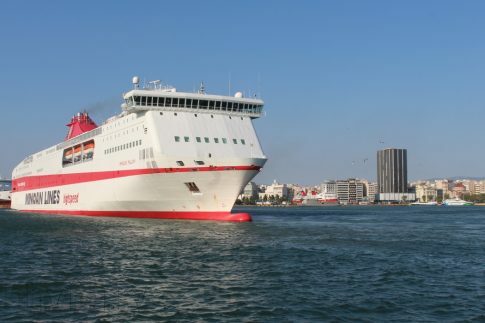 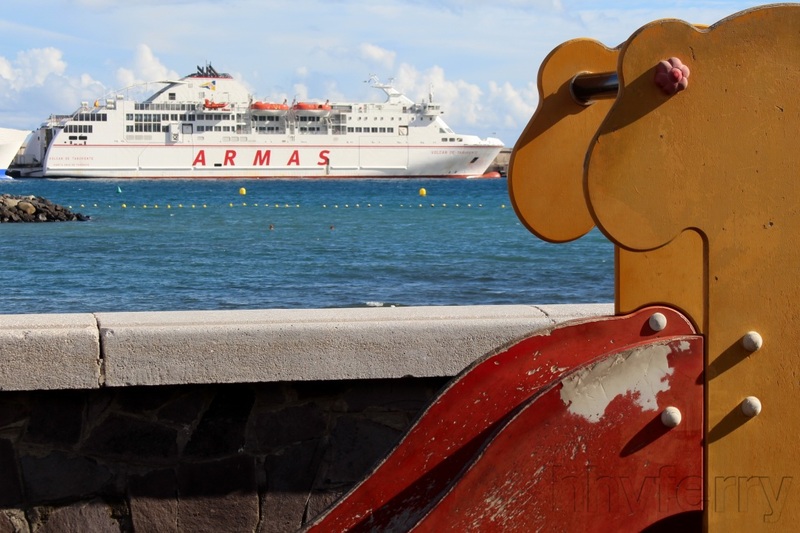 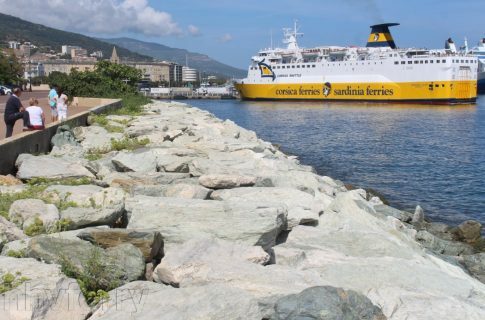 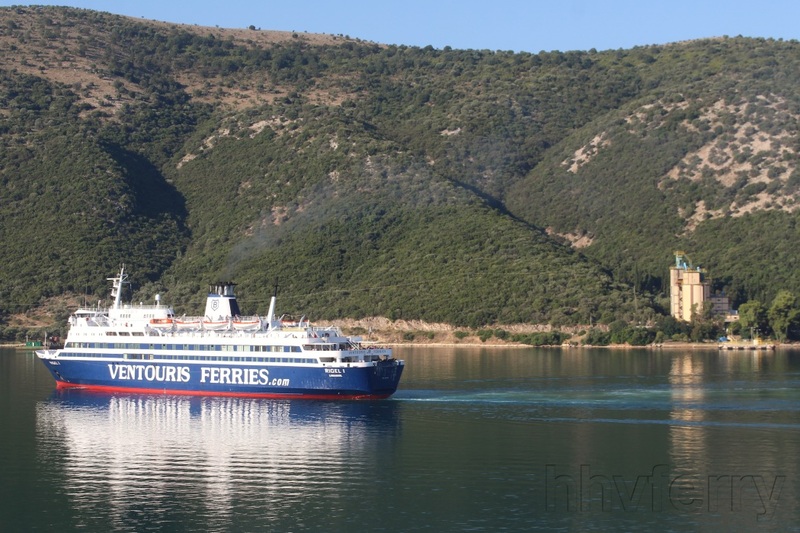 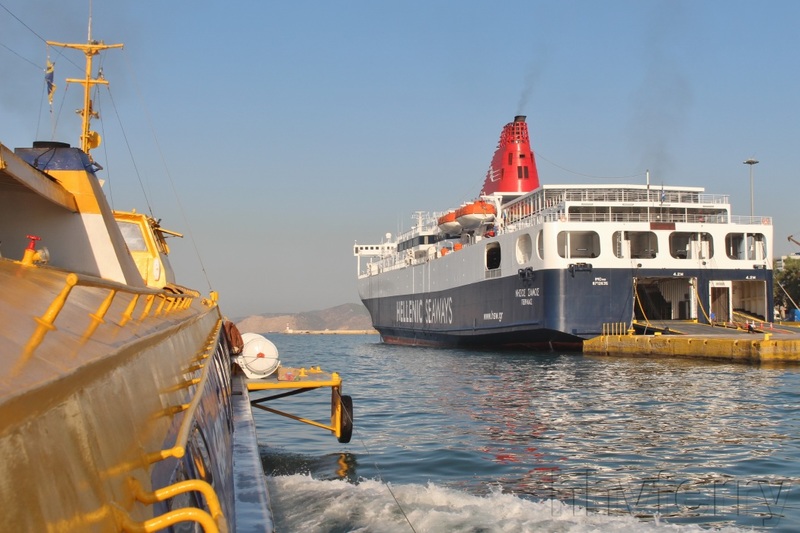 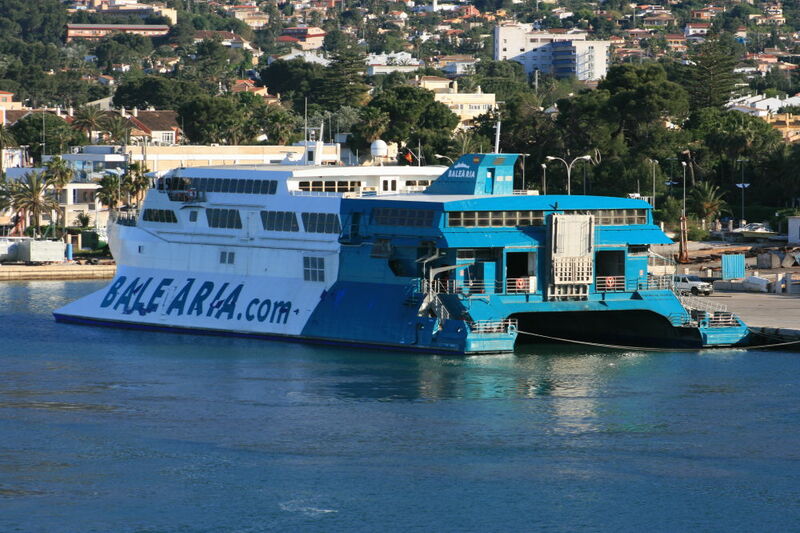 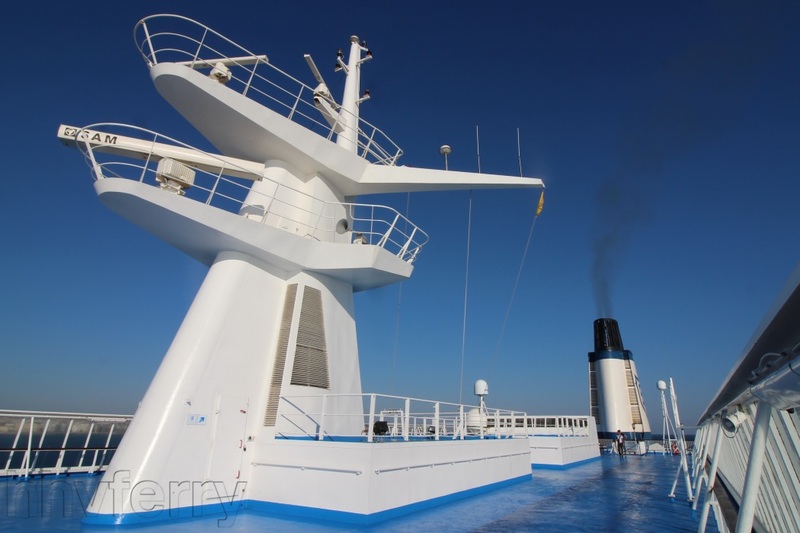 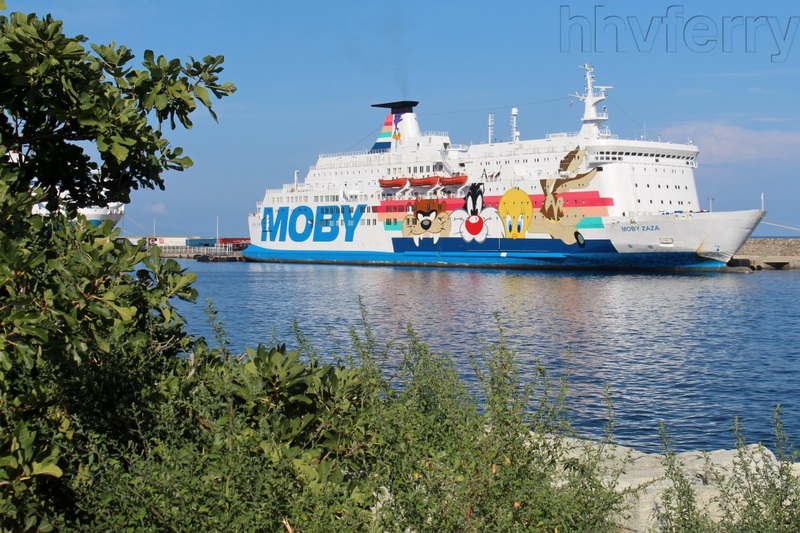 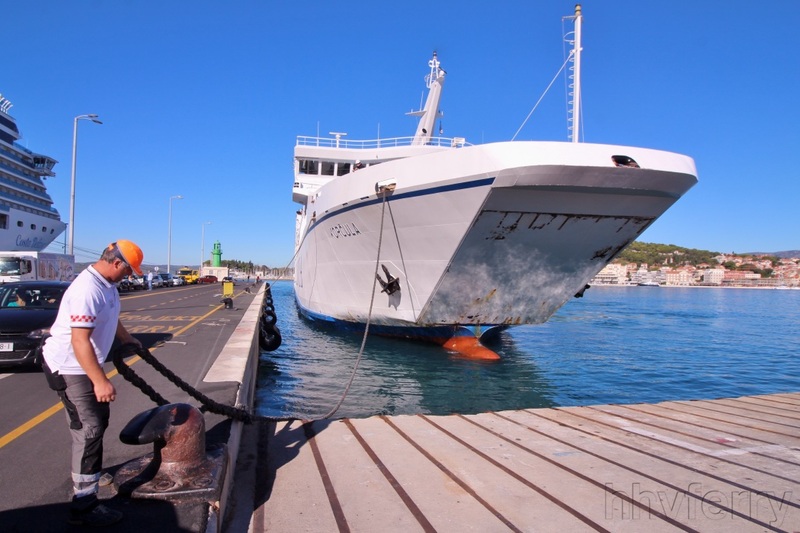 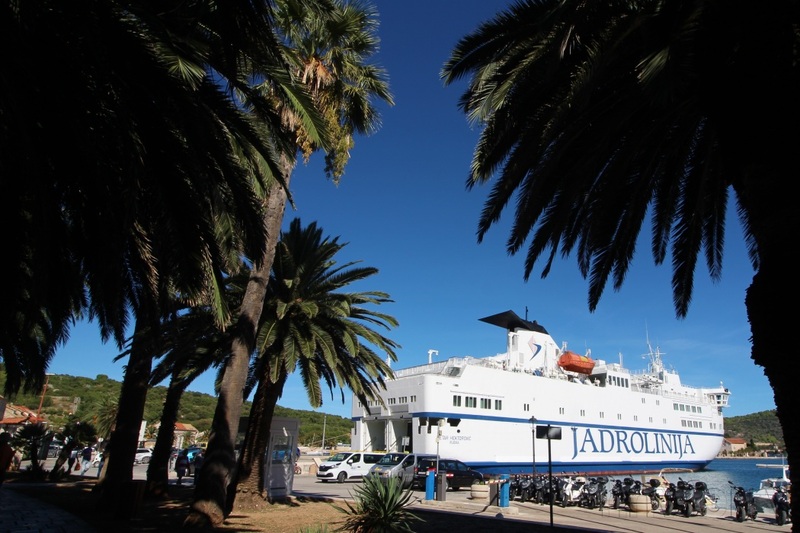 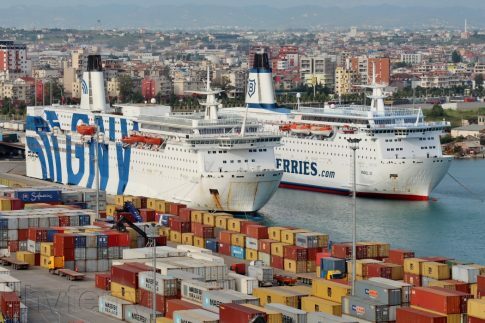 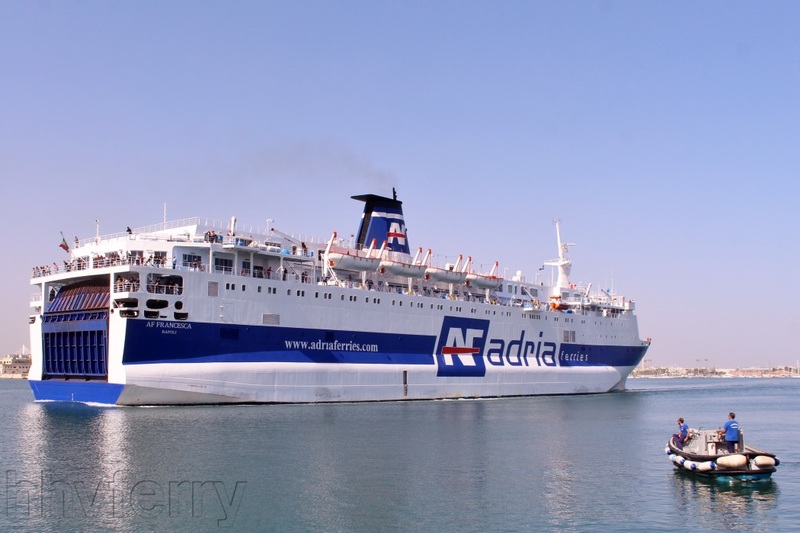 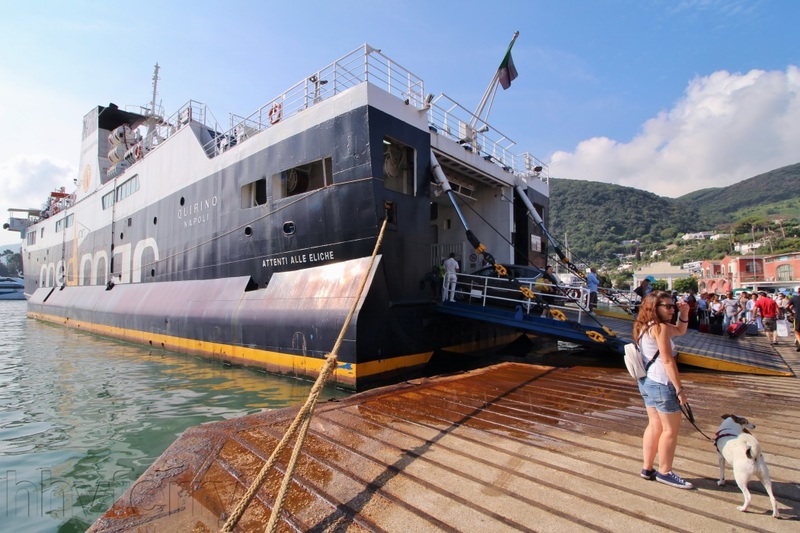 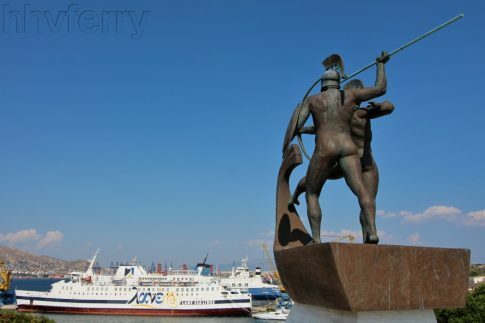 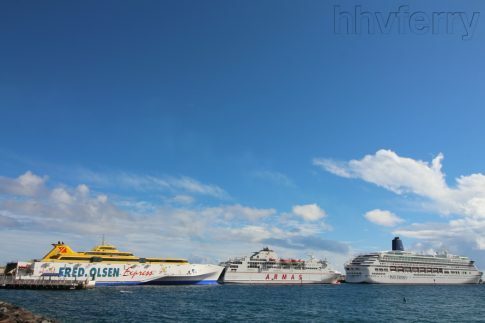 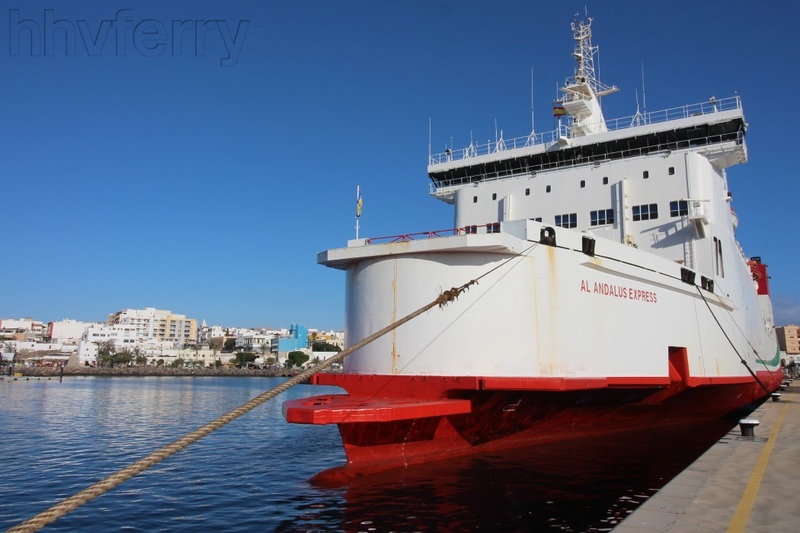 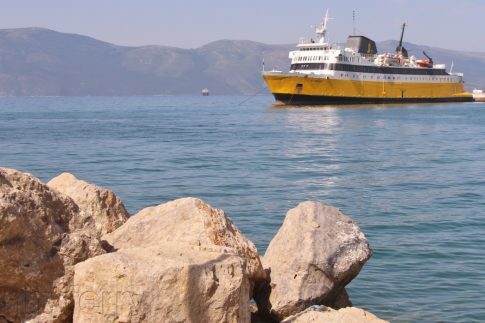 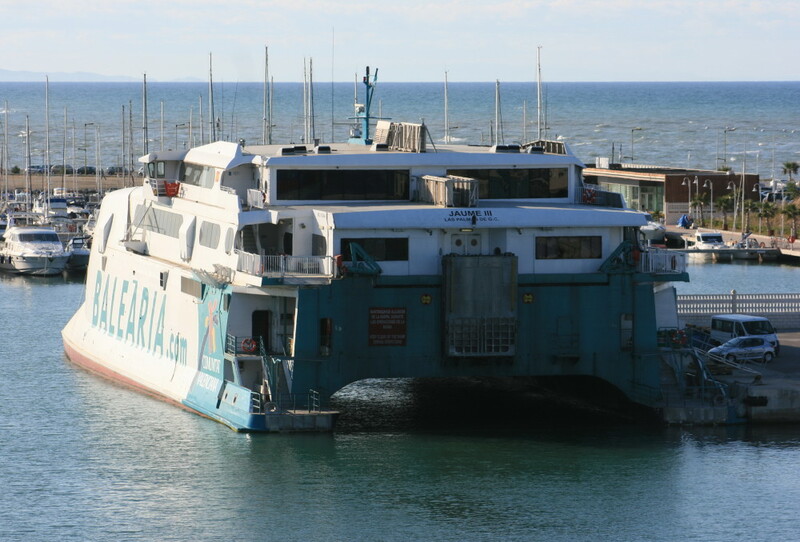 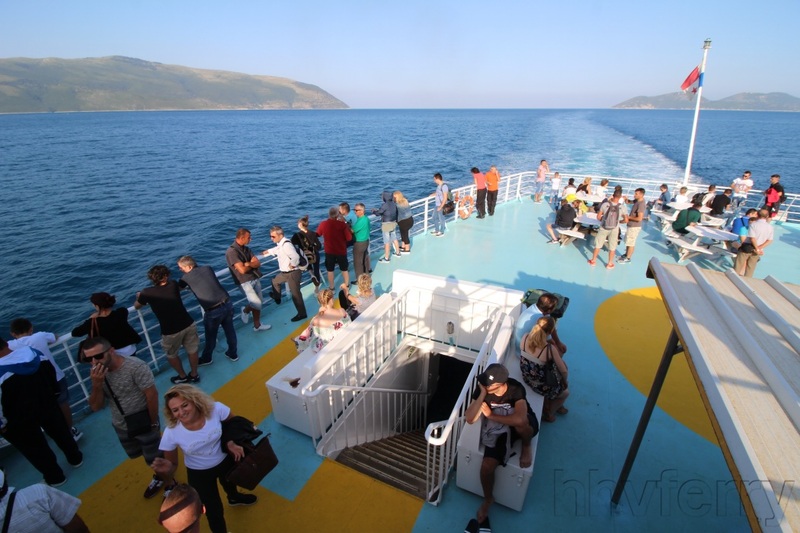 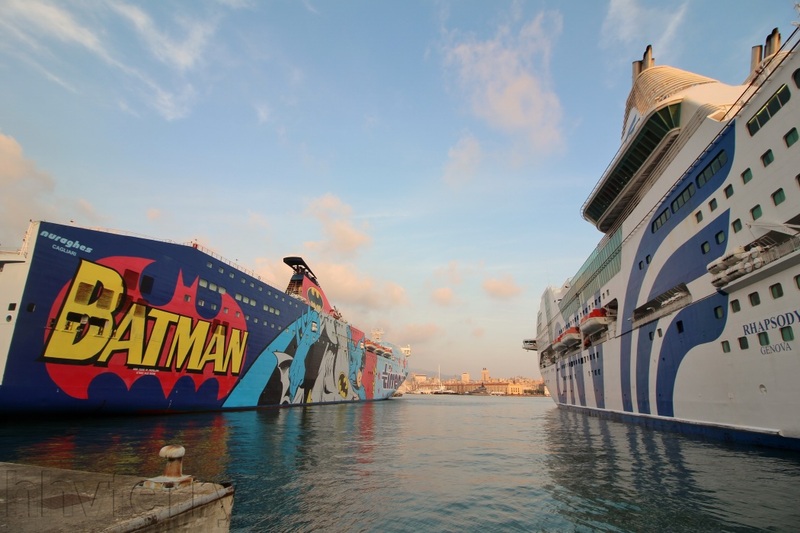 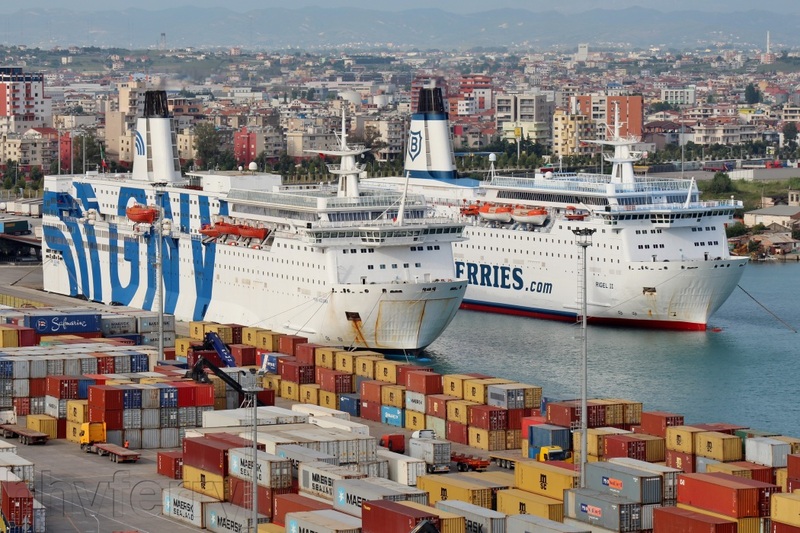 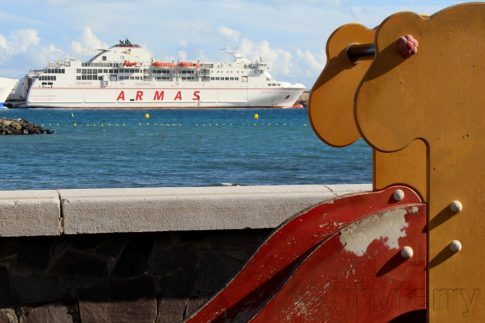 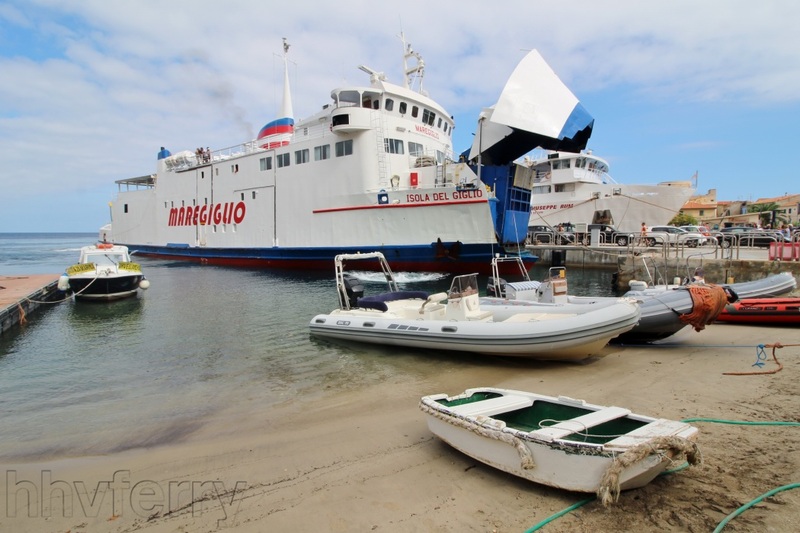 The second vessel is a small (800-passenger) day ferry for Formentera, which one assumes will replace the erstwhile Arlequin Rojo (ex-Saint Gildas) from Ibiza although it may also make Denia sailings. 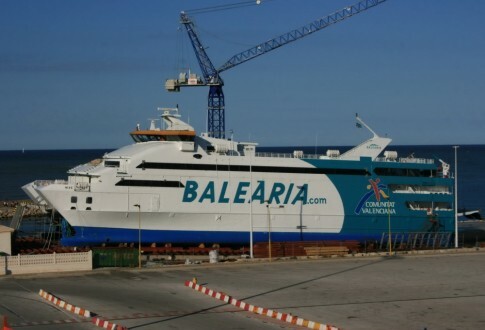 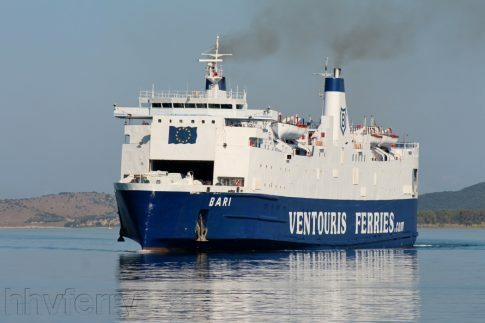 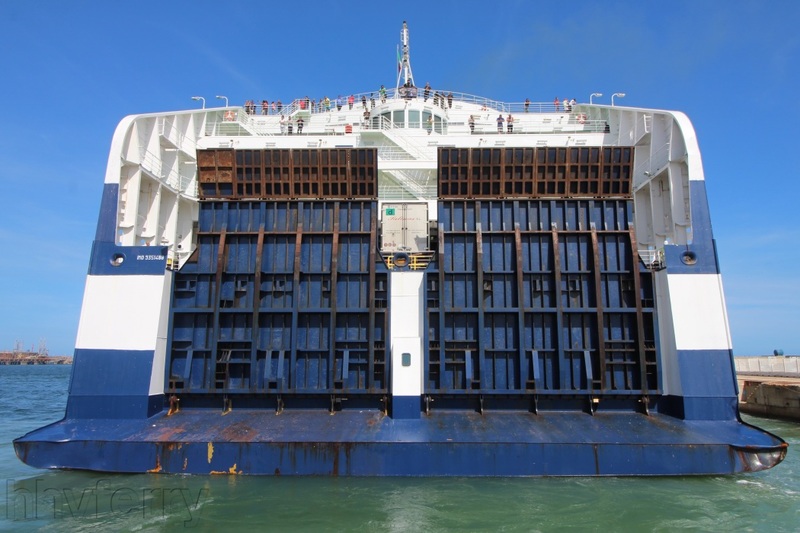 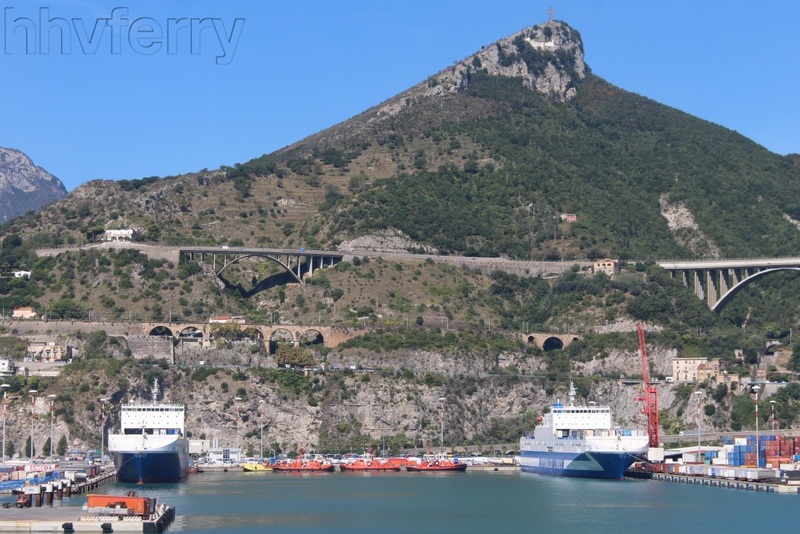 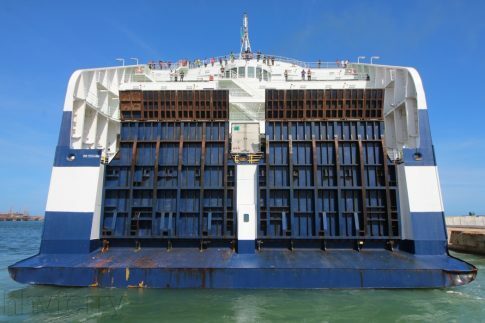 Last is another large ship, which in Baleariaâ€™s magazine is pictured as being similar to a stretched â€˜Solerâ€™ in appearance but which the shipyardâ€™s website shows as rather different, a ro-pax with 2,300 lane metres, perhaps a replacement for one of the Borja sisters. 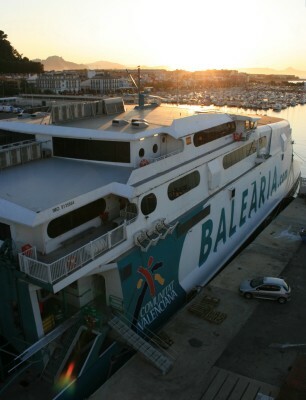 Baleariaâ€™s aggressive expansion has had an impact on their rivals â€“ whilst Trasmed continue the battle on several routes, low-cost operator ISCOMAR has abandoned, for now, the Denia-Ibiza-Palma route which was for several years the preserve of the Carmen Del Mar. 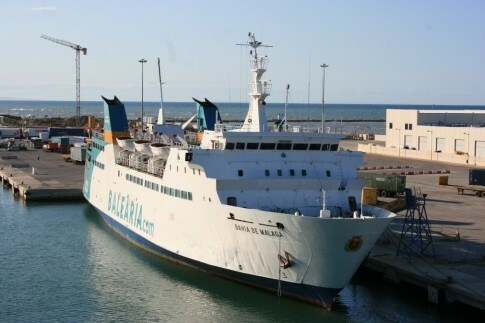 The ISCOMAR terminal in Denia is now closed with a notice in the window saying there would be no sailings from January until the end of April. Bookings were being taken for May, however these were subsequently cancelled and, according to the ISCOMAR agent in Ibiza, â€œmaybeâ€ sailings will restart in June/July. 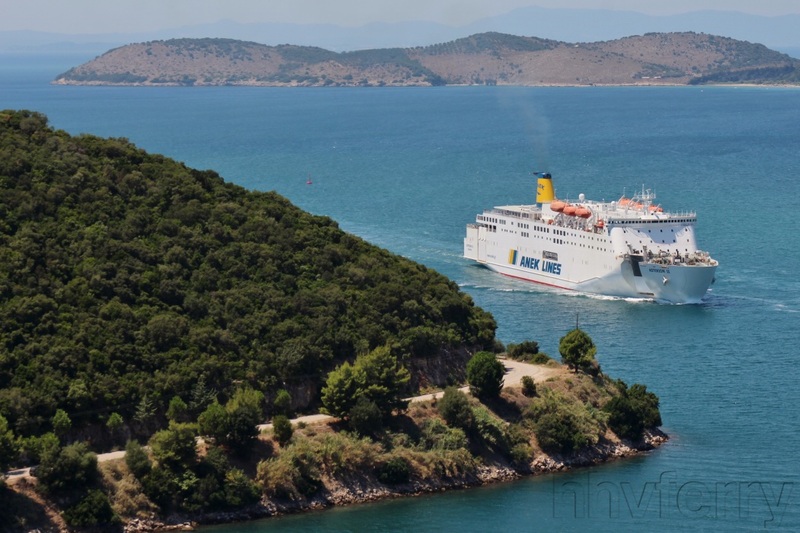 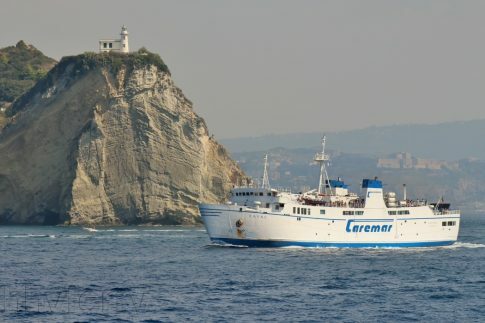 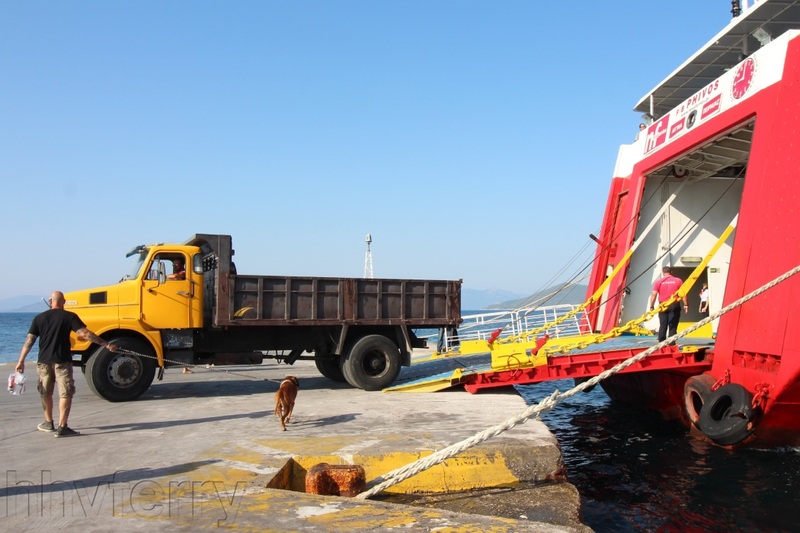 The â€˜Carmenâ€™s replacement, the BegoÃ±a Del Mar, was last seen in Piraeus Roads in January, heading back to her Ukrainian owners.